3rd Bn, The Worcestershire Regiment, 7th Brigade, 25th Division, B.E.F. Next of Kin: Son of James and Emma Mary Dovey of Hanley Swan, Worcestershire. Richard Dovey in Hanley Castle in 1895 , the son of James and Emma Mary Dovey. His father worked on the Hornyold Estate at Blackmore Park. Richard and his bothers followed their father into the same employment. Richard enlisted in the Worcestershire Regiment at Malvern. He landed in France with the 1st Battalion on 26th May 1915, but later went on to serve with the 3rd Battalion. 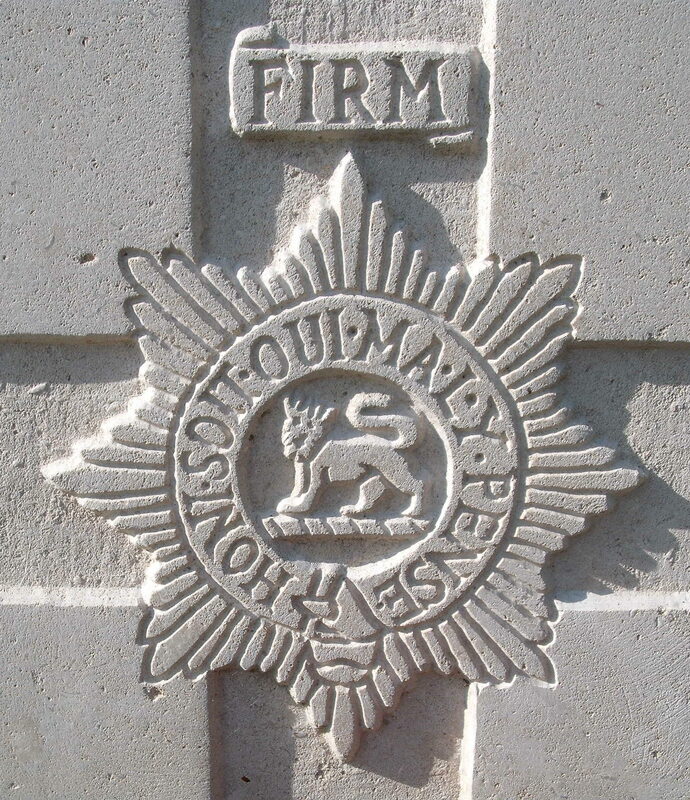 It was with this unit that, during the Battle of the Somme, he was severely wounded. 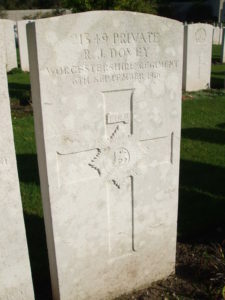 He died at a Base Hospital at Etaples in September 1916. Richard is also commemorated on the war memorials at St. Gabriel’s, Hanley Swan and Our Lady & St. Alphonsus R.C. Church, Hanley Swan. With thanks to Richard Snead.